No idea, but is it worth calling a professional installer under the pretence of being a concerned prospective customer and ask them how they do it? Gave my car a wash and wax this morning as it was great weather for it. Really really happy with this car as a family load lugger. Is there a way to disable to hands free access boot that comes with the Premium Plus pack? It's very handy but if i'm going to a hand car wash I think I'd like to make sure it's disabled in case it accidentally gets triggered by the person cleaning the car. I think it's from more of a 'not wanting a car full of water' aspect or inconveniencing the person washing it than a security thing. Dont you have to do the kick your foot under the rear bumper thing any more? I was loading my bike into the back of mine when the boot suddenly started closing on me! I must have stepped and put my foot under the bumper!? To your previous post, buy some ferrite clamps and clamp a few over the power cable to the dashcam. Make sure they're as close to the power source (cigarette lighter etc) as possible. It'll suppress the noise coming from that line which will be what was interfering with your radio. Anyone with any experience as to how long brake pads and discs should last on a C43? Car is in for a software update today and I'm now being told the rear pads and discs are on the limit and need replacing at a cost of £450. Car has only done 16k miles and most of the last 4k (my ownership) have been commuting in heavy traffic at sub 30mph, so no hard braking. This is my first AMG but I've never had to replace pads or discs on any of my previous cars (mostly hot hatches), even at 40k+ miles. We've just replaced our pads on the rear after 20k miles from new, not sure why the discs would be suffering at 16k though seems a bit poor. My thoughts exactly. They tried the hard sell with "both pads and discs are on the limit" etc etc but I've noticed no brake fade and had no warning lights come up. As said above, I don't drive it hard. If it hadn't been in for a simple software fault today, I would have been none the wiser. I've told them I'll get a local indie to check it for me and replace if necessary. A £450 bill is not what I was expecting today. That's standard stealerships for you isn't it? We were told that some belts needed changing on my wife's car about 1.5 - 2 years ago, had them looked over by an indy twice in that time and they've said they're still good. 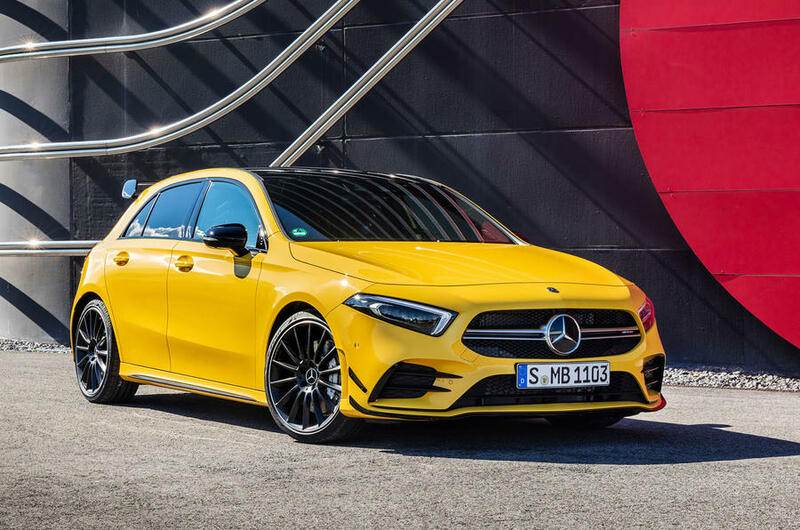 Any people interested in the new A35 AMG? Looks an interesting addition to the market. Wasn't a big fan of the new A Class initially but with the sporty bits on it looks good, and the interior is class leading especially with all of the options. Shame the AMG seats have gone from the A45 but they aren't really the most comfortable. Count me interested , I’m awaiting for my dealer to get me in for a test drive. I won’t be getting it in Yellow mind. Either denim blue or White. I would like it almost max specced but it is looking about £45K before any discounts.